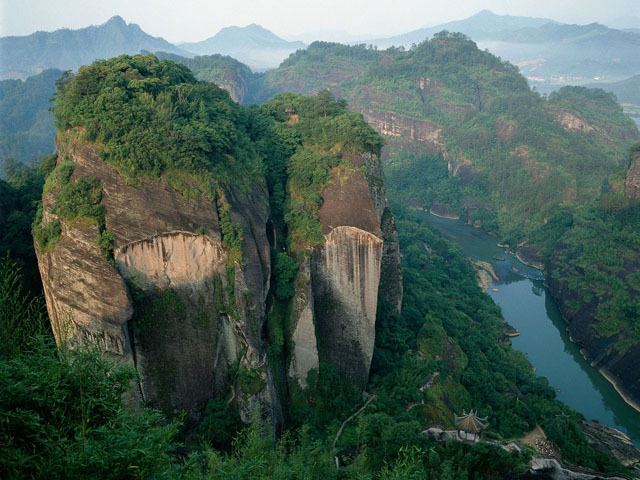 Located on the border of Fujian and Jiangxi Province, the Wuyishan Mountains (also Mount Wuyi) are a mountain range rich in natural and cultural heritage. 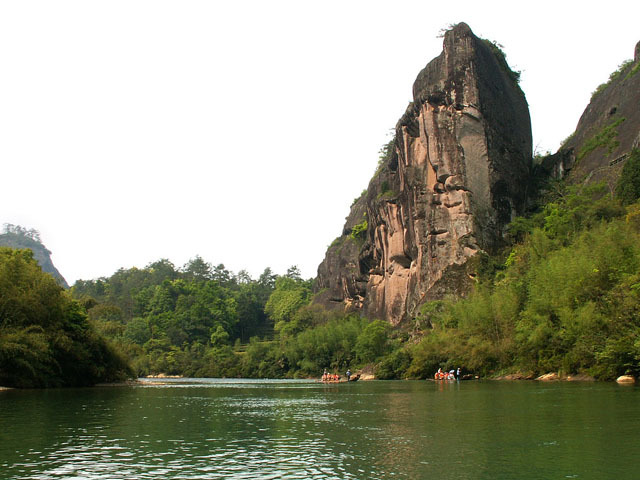 Wuyishan Mountains boast 36 graceful peaks, 72 fantastic caves and 99 interestingly-shaped rocks. The red hills (Danxia Landform) and crystal-clear waters are also top features. 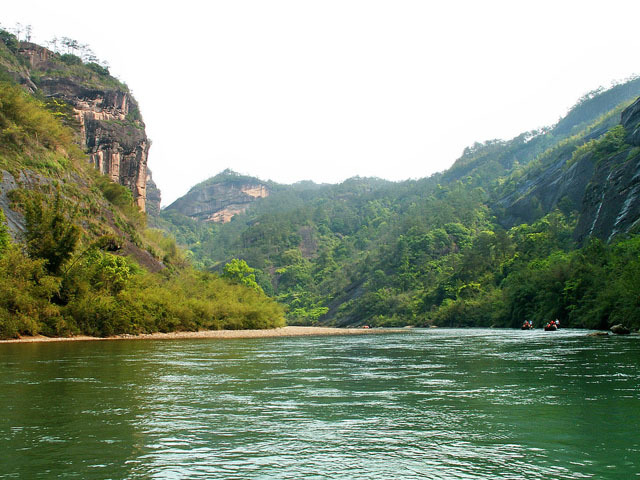 Wuyishan is also the most outstanding biodiversity conservation zone of Southeast China. 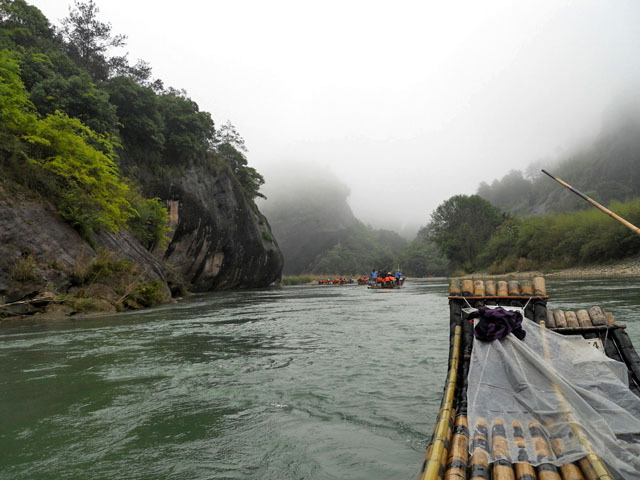 The best way to appreciate the beauty of Wuyishan Mountains is to take a bamboo raft drifting along the Nine-Bend River (Jiuqu Xi), which winds through the scenic area and offers spectacular views of Wuyishan in motion. 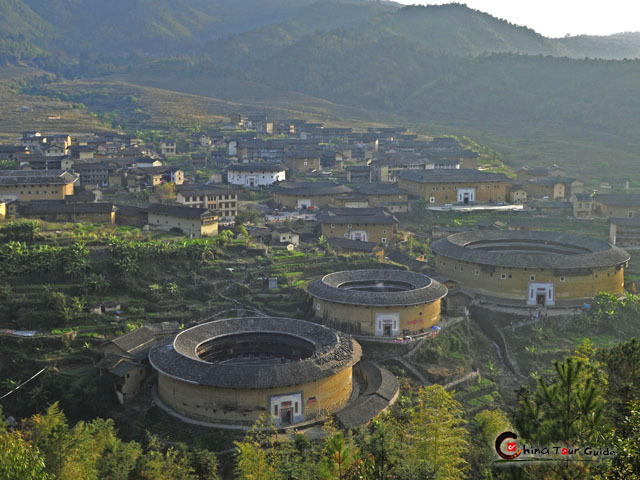 The Wuyishan Mountains Heritage Site is divided into 4 protection zones: Biodiversity in the west, Nine-Bend River Ecology, Natural and Cultural Sites in the east and the Ancient Site of Minnan Yue Kingdom. 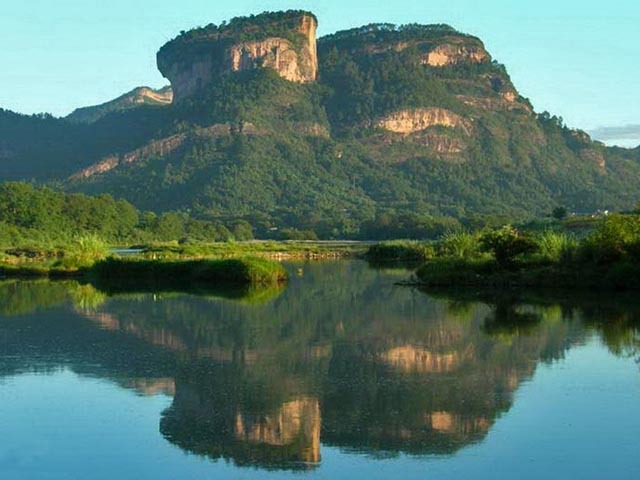 The Tianyou Peak Scenic Area covers an area of 400 hectares, featuring such spots as Tianyou Peak, Yunwo (Cloud Nest) and Chadong (Tea Cave). Tianyou Peak (Heavenly Tour Peak) – Standing 408 meters above sea level, Tianyou Peak is one of the 36 peaks of Wuyishan Mountains, and offers a fantastic panoramic view of the whole Wuyishan Mountain Scenic Area. The central Yilan Terrace is the best viewing spot on the Peak. Yunwo (Cloud Nest) – A group of a dozen caves on the west cliffs of Jiesun Peak. Its name comes from the wonderful sight when in the mornings during winter and spring, clouds linger and waves in swaying motion. 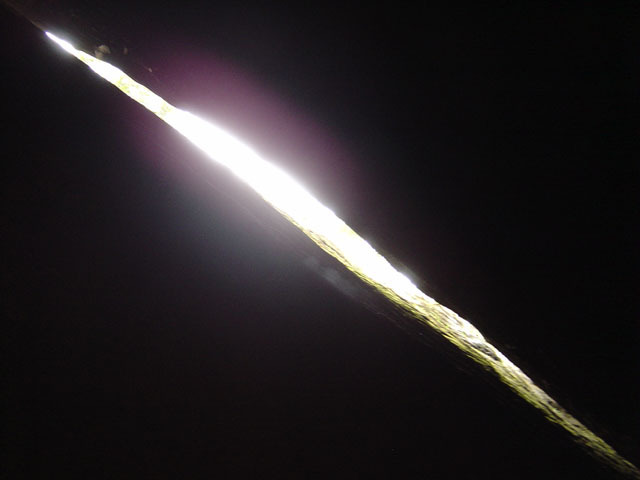 Chadong (Tea Cave) – Its name comes from a legend of an immortal who planted the world's first tea plant in this cave. The tea produced here is still the best on Wuyishan Mountain. It's also welcome for its extremely quiet and serene retreat. The Taoyuan Cave Scenic Area is a secluded place with an area of 550 hectares. Its entrance is hided among rocks and flora, thus giving it a sensation of mystery. When peach trees are in blossom in spring, the Taoyuan Cave becomes a fairyland; and that's what its name reflects. 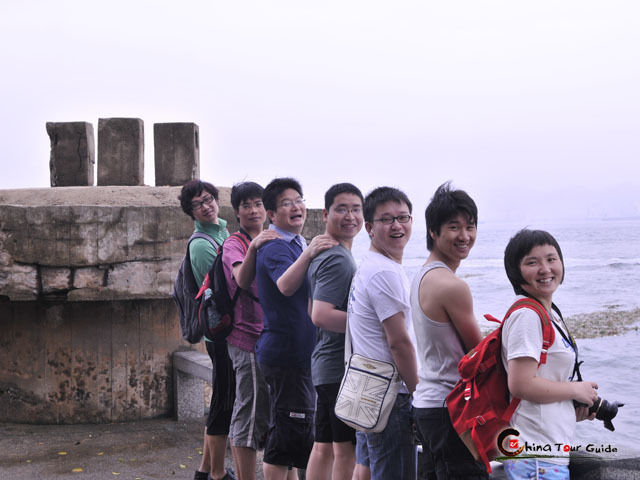 Major scenic spots include Taoyuan Cave, Taoyuan Taoist Temple, Sanyang Peak, Three-Tier Peak, and more. 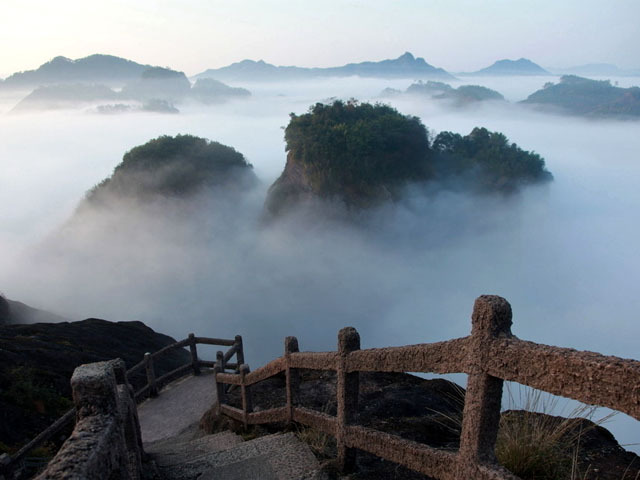 Covering an area of 350 hectares, the Wuyi Palace Scenic Area boasts a number of major tourism spots like Wuyi Palace, the Great King Peak and a 300m-long Song Dynasty Street. The Great King Peak in this area is a magnificent peak rising 530m above sea level. It's considered the King of all the 36 peaks in Wuyishan. Situated on the south slope of the Great King Peak, the Wuyi Palace is the oldest on the Wuyishan Mountain, dating back to more than a thousand years ago. A 300-meter-long Street was built in imitation of the Song-Dynasty (A.D. 960-1279) style, which features delicate decorations and pays special attention to every detail. Winding through the Wuyishan Mountains, the Nine-Bend River (Jiuqu Xi) is a natural painting in motion with the nine distinctive bends. Taking a rivier cruise along the Nine-Bend River is without doubt the best way to take in the most densely-packed sights in the Mountains. The cruise by bamboo rafts runs about 7.5km long and takes about 1 hour and 40 minutes. It's really a relaxing enjoyment. The First Bend enjoys a wide and free view, embracing the No.1 of the 36 Peaks – The Great King Peak. The Second Bend features sheer cliffs on both sides. The charming Yunv Peak (Jade Girl) and the amazing One Line Sky belong to this Bend. 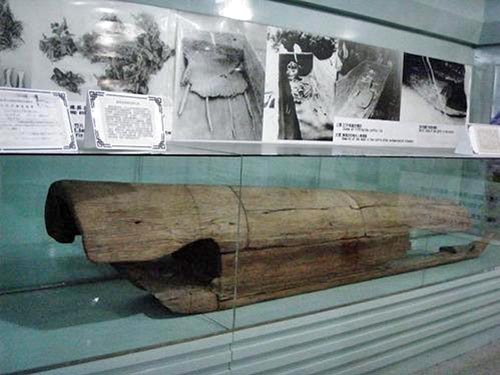 The Third Bend attracts visitors mostly by the over-3400-year-old Boat Coffin dating back to the Bronze Age, which reflects the funeral custom of the ancient Yue people. 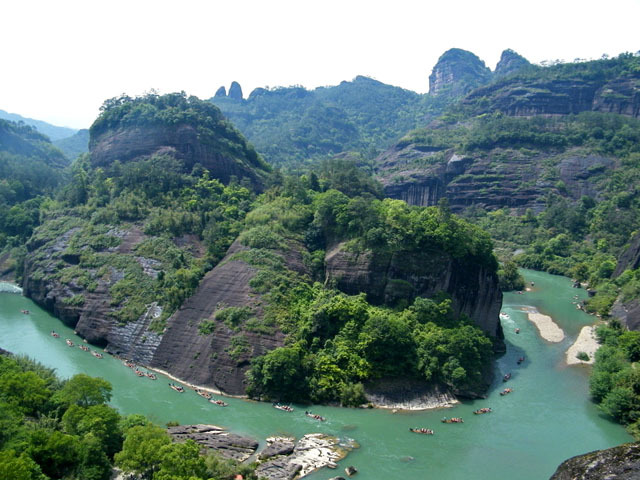 Between the ranges of the Fourth Bend, the lofty Zaicang Peak and the interesting Xiandiao Terrace (Immortal's Angling Terrace) face each other across the River. The Fifth Bend is the most open space of all the nine bends. The mysterious Yunwo (Cloud Nest) and Chadong (Tea Cave) are within the range. The Sixth Bend is the shortest in length, but the most attractive in landscape. 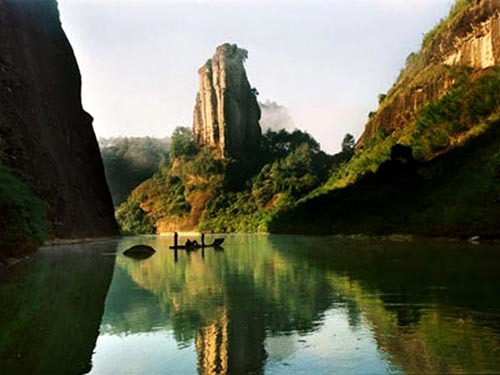 It includes the most popular visited Tianyou Peak, and the fairyland Taoyuan Cave. The highest peak Sanyang Peak stands 754m above sea level on the north bank of the Seventh Bend. The Eighth Bend is usually praised as the Zoo on Water, for its numerous animal-like rocks including the Lion Rock, the Camel Hill, etc. The Ninth Bend ends with a small town, and therefore the landscape features a tranquil countryside life with wide farmland in front. Wuyishan Mountains is the origin of the world's best oolong tea. Wuyi Tea (Bohea) enjoys a long history. 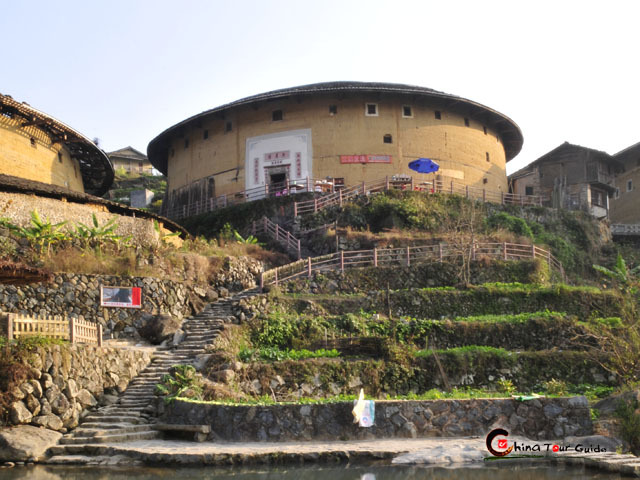 It was once a tribute to the royal family, and in the 17th century, Wuyi Tea was spread abroad and enjoyed high reputation. Oolong tea takes up over 80% of all tea types produced in Wuyishan, and the most famous Wuyi Tea (Bohea) are Wuyi Rock Tea and Lapsang Souchong. Wuyi Rock Tea grows in the cracks of mountain rocks, and is a semi-fermented tea of the oolong type. 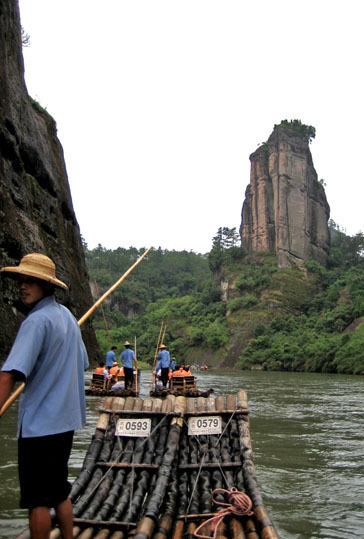 Wuyi Rock Tea is especially noted for its high quality due to its natural environment of green mountains, clear waters and the unique techniques. The renowned Dahongpao (Red Robe Tea) is a kind of Wuyi Rock Tea. It features a aromatic tastes with a coffee-like, roasted flavor and a sweet and fruity aftertaste. 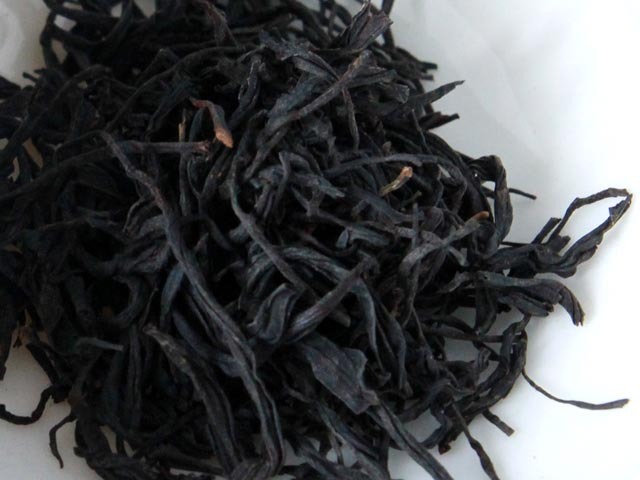 Lapsang Souchong leaves are traditionally smoke-dried over pinewood fires, thus taking on a distinctive smoky flavor, which distinguishes it from other types of tea. It's sometimes referred to as Smoked Tea. Lapsang tastes strong and smoky, and the high quality one has a taste of dried longan for the first few brews.